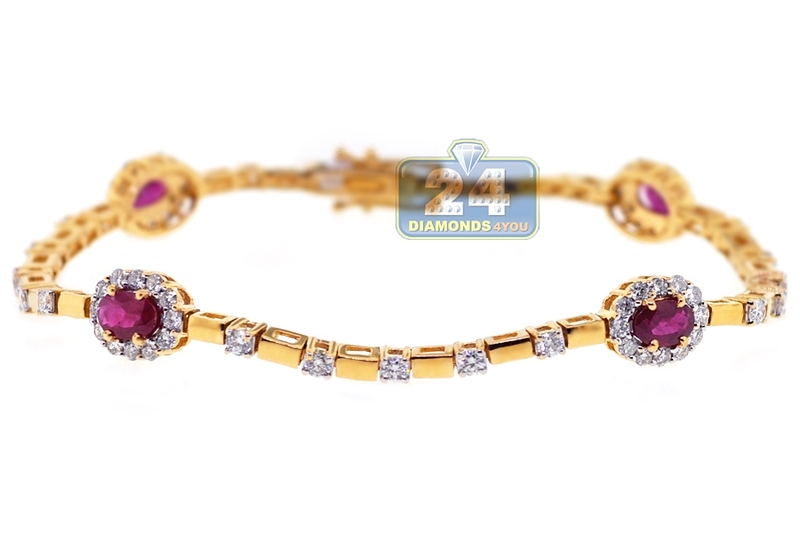 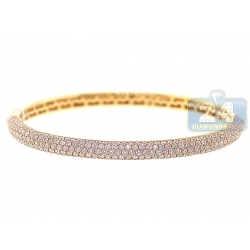 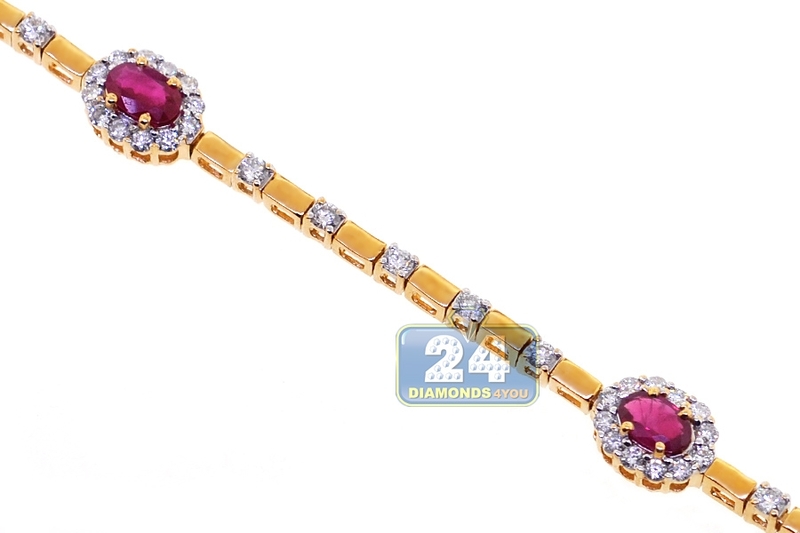 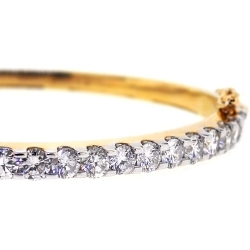 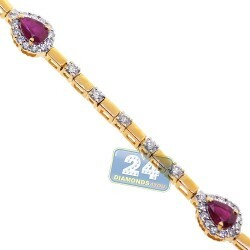 Womens Ruby Diamond Tennis Bracelet 18K Yellow Gold 4.02 ct 7.5"
You will be thrilled with glamorous presence of our ruby diamond bracelet! 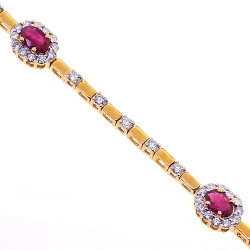 It is masterly created from warm 18k yellow gold; and encrusted with 2.14 carats of oval-cut genuine rubies, and 1.88 carat of icy white round brilliant-cut diamonds. 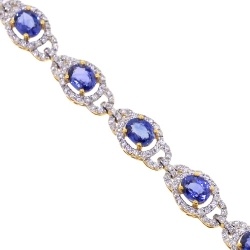 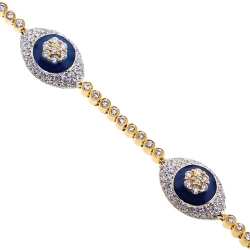 Our women's gemstone bracelet measures 7.5 inches in length and 2.5-7 mm in width. 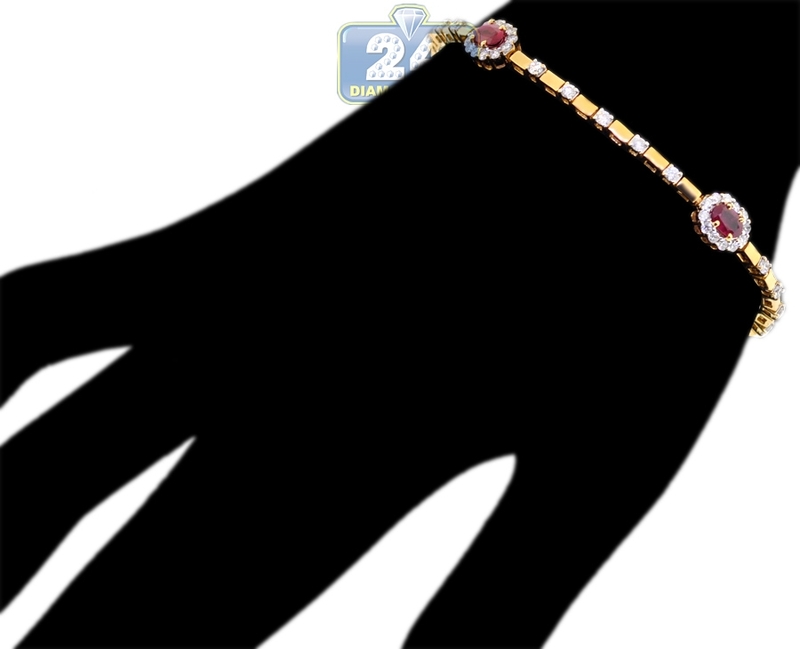 The piece is secured with a very safe box-with-double-lock clasp. 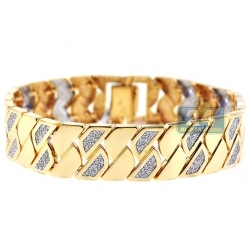 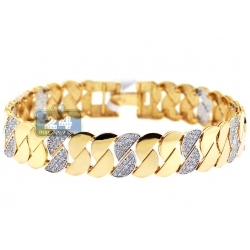 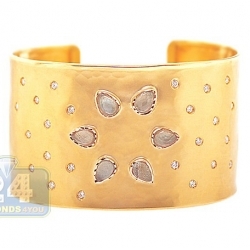 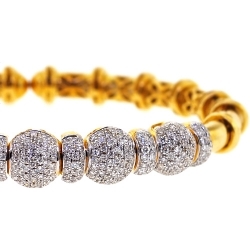 Adorn your wrist with pure luxury!